This is one of the rarest Apple to find since it was a commercial flop and released just ahead of the Lisa and the Macintosh. I didn’t have a graphic UI or mouse or 16-bit processor. It did have a new operating system (SOS) and more memory (128KB or more) but unfortunately the first version was very unreliable. Still this computer is built like a tank and very heavy. It’s interesting from a historical perspective but I can see why it wasn’t successful. 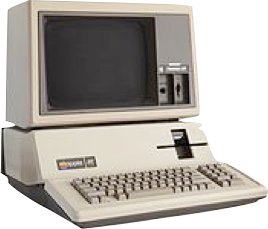 My Apple III (which works occasionally) is imported from US since they are even rarer to find here in Europe.